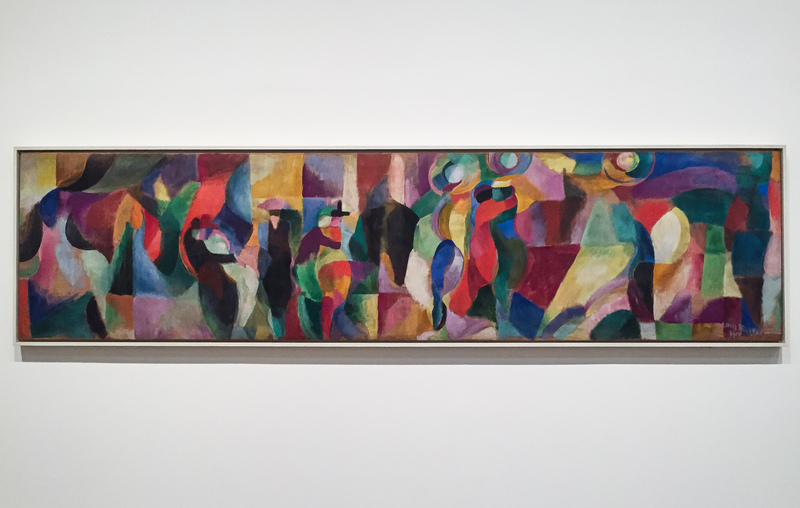 Sonia Delaunay was an amazing artist, and fantastically creative human. But because she was a a woman, we don’t learn about her in school. The Tate Modern in London though, is working hard to challenge visitors to expand their horizons and explore some of the most amazing female artists that we may never have heard about. This summer the Tate has a female double headliner- and since I have been moaning about how white and male the mainstream art scene in London is- I am delighted. Sonia Delaunay and Agnes Martin will be the main attractions at London’s most popular museum all summer long. I am also delighted because I was genuinely inspired and challenged by the work I saw in those exhibitions. I knew very little about Delaunay before I entered the gallery this morning- but a few hours later when I left, I felt enriched and challenged by a woman who spread her creative wings far beyond some of her contemporaries. 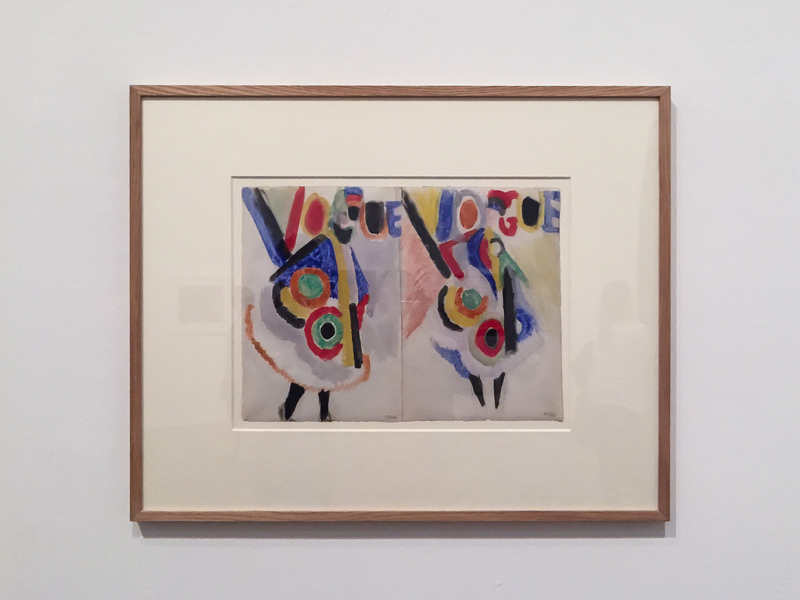 Sonia Delaunay was a painter, poet, fashion designer, illustrator, furniture designer, interior decorator and stage designer, among many other things. Delaunay and her husband Robert were well-known abstract artists, but Sonia went far beyond that and transformed her vision into a successful Madrid boutique (which later moved to Paris), and sold her garments all over Europe to support her life as an artist. She collaborated widely with art magazines and designed 20 covers for Vogue throughout her career. Those were a culmination of her work as a graphic designer, her passion for couture and her incredible vision as an abstract painter. 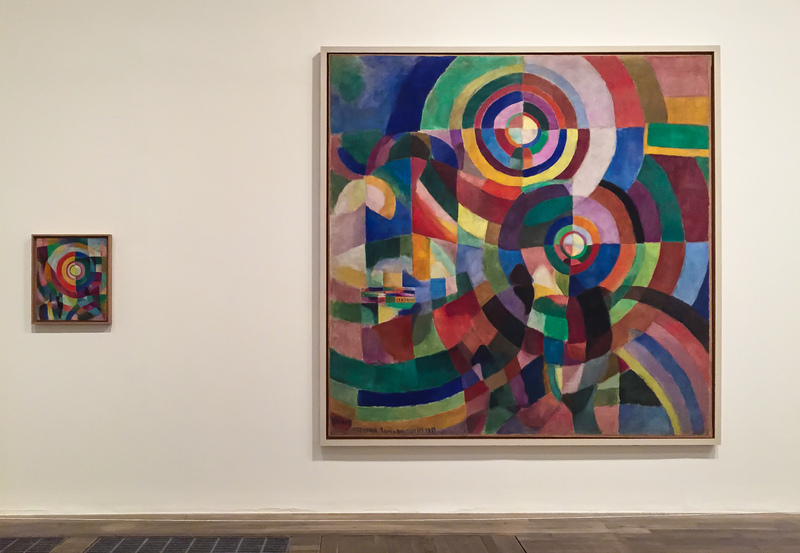 One of her collaborators, a dadaist poet, used to say that Delaunay made the colour sing. And it is absolutely the best way to describe the incredible work displayed in the Tate- both bold and delicate, brimming with confidence. I highly, highly recommend a trip t the third floor of the Tate gallery if you are in London this summer. Even if you haven’t heard of the artists, I assure you, they are worthwhile. 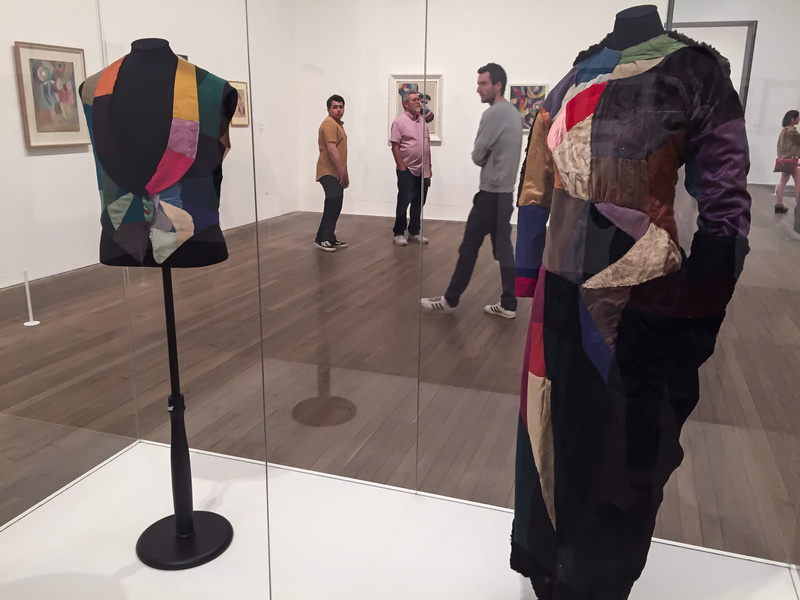 Sonia Delaunay, Tate Modern, until August 9, 2015.